I am delighted to tell you that the full conference programme is now online – just in time to enable you to take advantage of the “Early Bird” reduced registration fee, which ends on 30 April. Building on last year’s successes and the comments you made, we have put together a really diverse programme this year, with renowned speakers from Europe and further afield, addressing many different topics. Our plenary sessions include positive health, healthy hydration, health economics, the future of dietetics and creating new dietetic workplaces.We are also able to offer pre-conference study opportunities. More information to follow soon, so do register now, but wait a couple of weeks before booking your travel – just in case you decide to add an additional day of CPD to your portfolio. Looking forward to seeing you in Rotterdam! VISIT THE WEBSITE & REGISTER TODAY! Last chance for Early Birds! Subscribe before May 1st and save money! 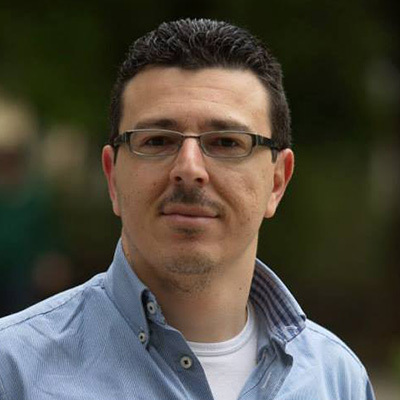 My name is Papaspanos Nikos, I am dietitian and also Sports Scientist. I am board member of the Hellenic Dietetic Association and member of it’s Group of Experts on Sports Nutrition. Finally I am co-opted leader of EFAD’s ESDN Sports and Physical Activity.What is the subject of your presentation? I will be the chair of the session “Hot Topics in Physical Activity”. In this section there will be 3 lectures. The first one copes with the ergogenics, the second one with the pre-competition weight loss in compat sports and that last, but not least, with the nutritional advice that should be given to the young diabetic athletes.Why is this subject special? Because it will inform the participants about the updated scientific data on the topics mentioned above by experts on this field.How does this fit in the theme ‘let’s make a difference? A well informed dietician about the latest scientific data can make the difference in her or his daily practice, incorporating all this new information in daily practice. This is the primary goal of the session! How can dietitians make a difference according to you? A dietitian is the expert in the field of dietetics. No one else can do a better job than her or him, because no one is better educated in this field. So she or he can make the difference by advising in nutrition patients, athletes or population. Why should dieticians come to Rotterdam in September? There will be dietitians from all over Europe. So they will have the chance to exchange thoughts, ways of working or even ways of dealing with their clients. Of course the congress will offer knowledge in many fields of dietetics. Hope to see you all in Rotterdam! Have you done any of the ENLP leadership seminars, or are you interested in participating? Join the informal ENLP get-together on 27 September in Rotterdam! After the ENLP half day workshop on leadership for dietitians, on the day before the conference, there will be an informal drink where you can get to know more about the ENLP or just network with like-minded dietitians.